DOCTOR WHO: Stories From The Scrapheap - THE RED FORT | Warped Factor - Words in the Key of Geek. We're off to India to do duty for Queen & country as we look now towards The Red Fort! 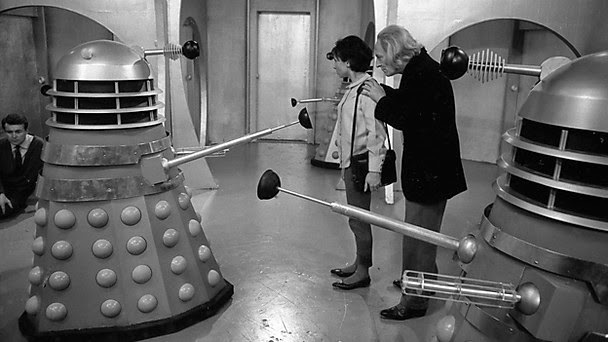 Initially planned as part of Season 2 of Classic Who, writer Terry Nation ( perhaps better known as the man behind the Daleks) intended for the story to be set during the British Raj, a period from 1858-1947 during which the East India Company in effect had control of large swathes of the country, expanding from its beginnings as a trade enterprise ( having been granted a Royal Charter by Queen Elizabeth I in 1600). They'd been petitioning ' Good Queen Bess since 1588, just after the Spanish Armada had been seen off- the coalition of merchants seeking permission for a first voyage into the Indian Ocean in a bid to drum up overseas trade. That permission was granted, Lizzie giving them her blessing in time for the first attempt to be made on April 10, 1591, though she stopped short of awarding them the prized Charter on that occasion. Sailing from Torbay, they returned home a mere three years later having made their way around the Cape of Good Hope & on into the Indian Ocean. All this, though, is mere background. 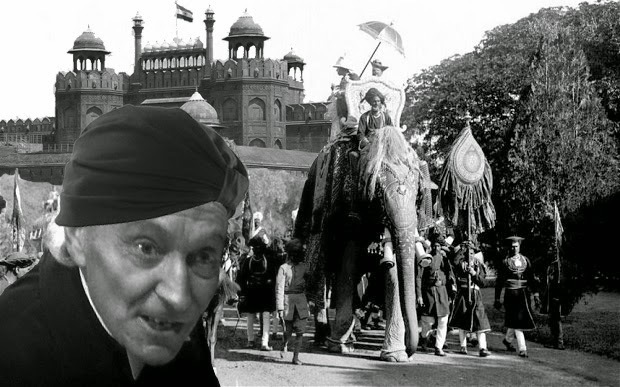 The First Doctor & chums wouldn't have arrived until well after that, & before even the Indian Mutiny of 1857, the first step on the long road toward independence from British rule. 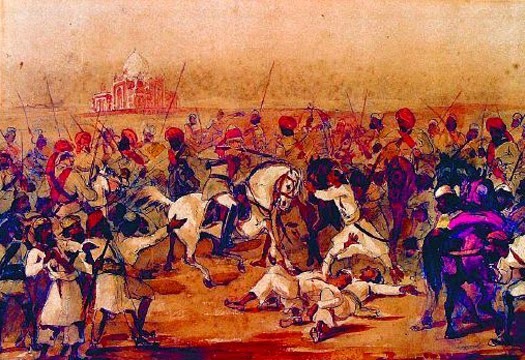 To use a cliché, the natives got restless- Indian soldiers in the Company's armies rebelling against what they saw as a series of snubs by their British officers. Their culture had in effect been trampled upon, their religion was being swept aside ( many Hindu/Muslim traditions were outlawed by the Company, which had even begun to move towards forcibly converting its sepoys, a local word simply meaning soldiers, towards Christianity). This, coupled with a growing belief that the Company was becoming too greedy ( heavy taxation etc) is believed to be the root cause of the Mutiny. A glance at the sheer gulf in numbers between the local/British soldiery within the army at of the time- 300,000 sepoys compared to 50,000 British troops, spread across three main territories ( Bombay, Bengal & Madras) should perhaps have caused the higher-ups to think again before electing for such sweeping, radical change! Of course, the reform had started much earlier than that. The three main seats of power for the Company had been in its hands since 1612, when it had established factory towns in & around those areas. Arguably the defining moment of its rule was its victory over the forces of the Nawab of Bengal at the Battle of Plassey in 1757. The surrender of the local ruler allowed the Company a degree of territorial expansion, which also yielded the bonus of the right to tax the native population as it pleased. It wasn't until 1773, though, that they set up their own capital in Calcutta & appointed Warren Hastings as the first Governor-General of India. Following the Mutiny, though, the Company was no more, as enshrined in law by the Government of India Act ( 1858) which enforced its liquidation & thus ended its occupation of the country, which had been endorsed by Parliament back home- the British government would now take control, with Queen Victoria becoming Empress of India in 1877. At its height, what became known as the British Raj, an extension of the Victorian might of the British Empire, covered most of Pakistan & Bangladesh as well as India itself- collectively known until independence in 1947 as British India, governed on behalf of the Queen by a Governor-General/Viceroy. Enough with the long-winded history lesson, though! As you might have guessed by the title, The Red Fort itself had an important part to play at an earlier stage in proceedings. It's likely that Nation intended to set his imperial tale pre- rebellion, during the 1803 Battle of Delhi. Company forces launched an assault on the Fort with the aim of taking power from the native Mughal rulers of the time. They succeeded after initially feigning a retreat, under the command of General Gerard Lake ( who had been appointed Commander in Chief of British India shortly after returning from service in Ireland, quelling the Irish Rebellion)- allowing them to seize the Fort & with it control of all Mughal territory in India. What the Doctor would have made of it all as he stepped from the TARDIS is quite a question to muse upon! He would have of course already warned that ' You can't rewrite history, not one line!' in The Aztecs. But think back. Doesn't Babs at least manage to convince Autloc that human sacrifice & the like are wrong? Its equally possible that a similar approach could be attempted with the Commander in Chief, imploring him to use his position of authority to end a senseless war. Or, as in The Highlanders, covert aid could have been provided to the Indian mutineers.